Another example, like the one explained below, involves testing scenarios that might or might not include end-user selections depending upon whether or not the end-user in a given scenario has an optional product or service. 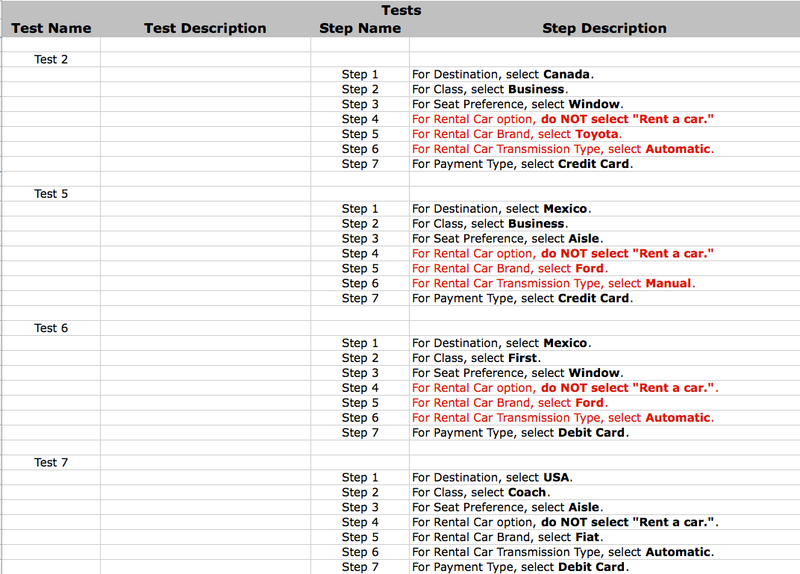 Note that each and every one of these test scripts have the same number of test steps. The wording in red is problematic. If a scenario includes "do NOT select 'Rent a car.' " then that scenario should not include any Values for either (a) Rental Car Brand or (b) Rental Car Transmission Type. 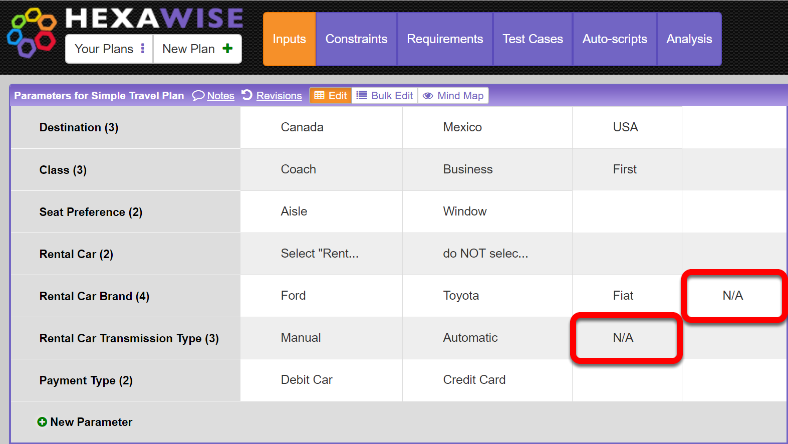 In other words, if a traveler does not want to rent a car, there should be no information that a tester includes for the car brand or transmission type. 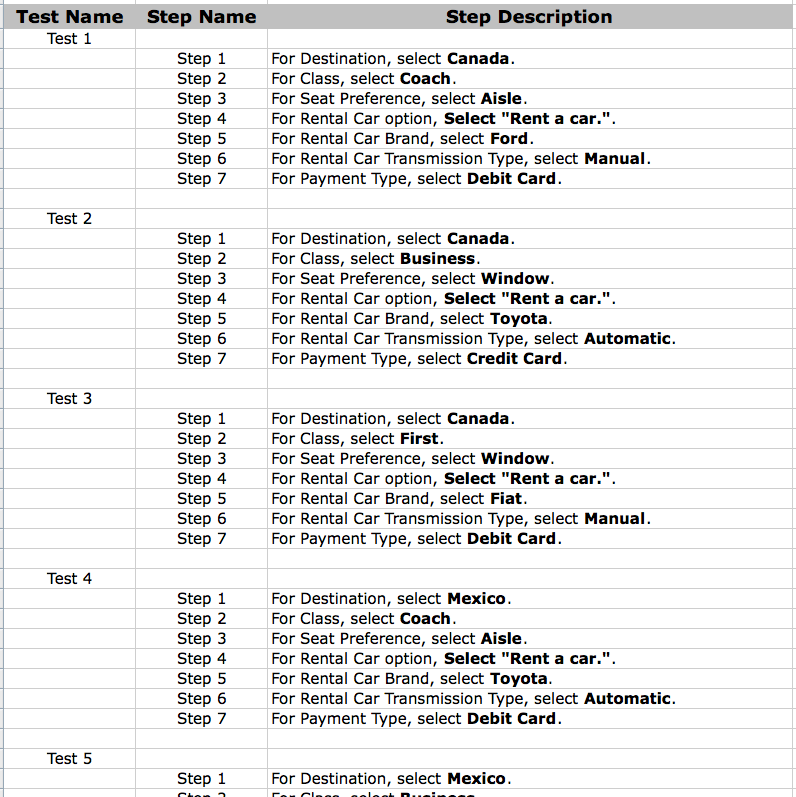 To address this problem, you should first go to the "Inputs" screen and create a Value labeled "N/A" (Not Applicable) for "Rental Car Brand" and again for "Car Transmission Type". 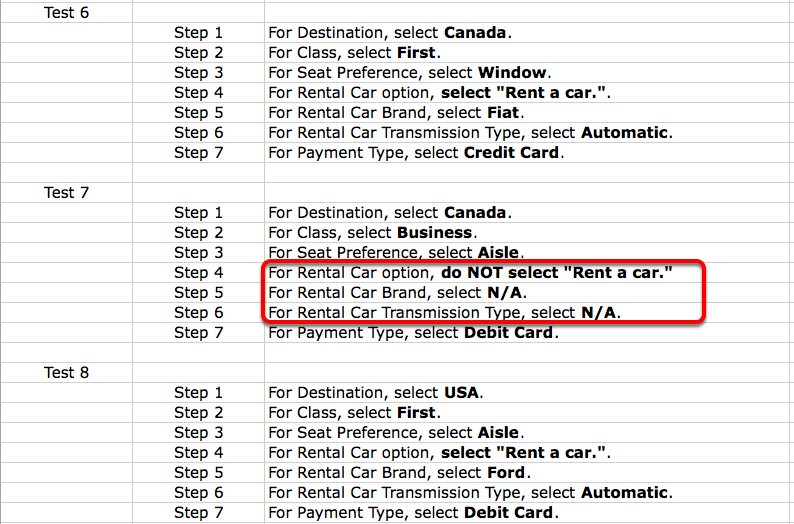 Bi-directional Married Pair # 1 : "do Not select Rent a Car" must always appear with Rental Car Brand = N/A (and vice-versa). Bi-directional Married Pair # 2 : "do Not select Rent a Car" must always appear with Rental Car Transmission Type = N/A (and vice-versa). Bi-directional Married Pair # 3 (automatically created by the Hexawise tool): Rental Car Brand = N/A must always appear with Rental Car Transmission Type = N/A (and vice-versa). For more information about how to use the Married Pair feature, please see this help file.